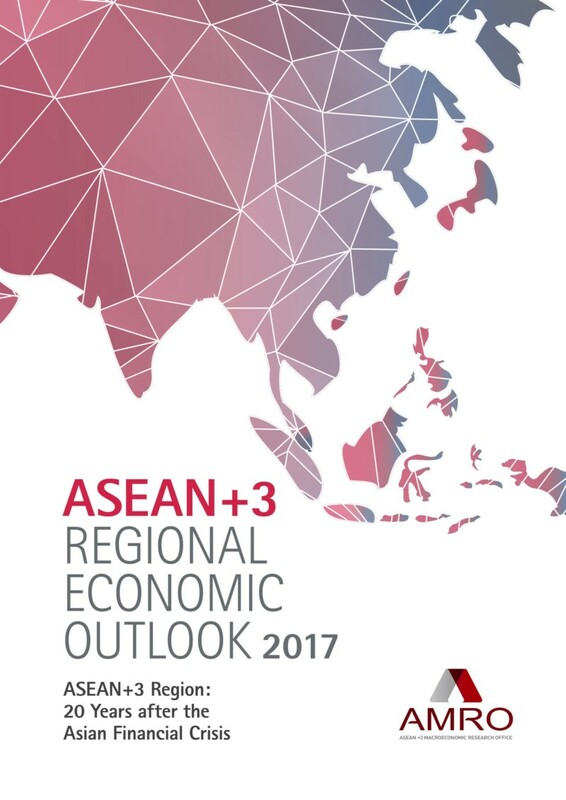 The ASEAN+3 Regional Economic Outlook (AREO) provides a comprehensive assessment of recent developments and the outlook for the regional economy and its linkages with the global economy, as well as inter-linkages in the financial markets. The first part on ASEAN+3 Macroeconomic Prospects and Challenges contains AMRO’s projections of 2017 and 2018 growth projections at 5.2% and 5.1%, respectively. This section also includes a spillover analysis using the Global Vector Autoregressive (GVAR) model. The thematic study, ASEAN+3 Region: 20 Years after the Asian Financial Crisis (AFC), takes stock of developments in the economic structure and macroeconomic policy framework of the regional economies after the AFC. Note: The legend in Chart 4 on Page 104 has been amended.